In a work agenda, in which 35 professional contacts have already been sealed, the Councillor also highlighted the meeting with the management of the airline Turkish Airlines, with whom they will be sealing a promotional alliance to promote Malaga all over the Near East and the Asian South East. Malaga’s delegation will be leaded by the city’s mayor, Francisco de la Torre. 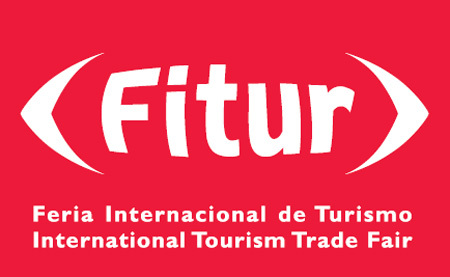 Around thirty local tourist companies will also be present. As the main novelty, Carolina España highlighted the presentation in Madrid of Malaga being the first city in the world to host the ‘Holy Sheet’ exhibition, which will be displayed in Malaga’s Cathedral as from the following month of February. “It will be an important touristic lure that will reinforce the popularity that this city already has during the ‘Holy Week'”, she added. This exhibition, that will be travelling across and America as from May, reproduces and shows for the first time in history, and following the guidelines of the forensic medicine, the body of the man of the ‘Holy Sheet’. The exhibition will also display objects related to this relic. Carolina España pointed out that from the very exhibitor that they will be promoting the city with, the idea is to contact with operators and professionals of traditional markets, but also to reach emerging countries. “The 124 square meter stand has an original, attractive and elegant design, thought for the professional work, at the same time it also attracts the final consumer”, she added. The amount of money that the town hall will be investing in this display is 70.000 euros, which means a cutback of 12% in comparison to last year’s cost. The Councillor of Economy and Tourism insisted that the aim in Madrid is to improve and increase the arrival of Spanish tourists to Malaga this year, that went down during 2011 due to the economic crisis. In this sense, she stated that the hotels in Malaga capital city registered 436.494 national travellers until the past month of November, which means a 3.1% decrease. However, the increase of the average stay has achieved that the overnight stays in hotels, 850.819, maintain a positive balance. In any case, the good international streak, with an increase of travellers of 15%, has achieved that the foreign tourism surpasses the domestic. “2011 has been a good year, but we must insist in the local market”, she said.